Stress can now be a mental illness. One of the changes in our thinking about mental illness that resulted from the process of revision of the DSM was the creation of a new separate chapter for Trauma- and Stressor-Related Disorders. For the full story check out the DSM-5 published by the APA. Formerly these disorders were scattered around in various DSM chapters. Some were part of the anxiety section, some were under Disorders First Diagnosed in Infancy, Childhood, and Adolescence and soon. The disorders in this chapter, to my way of thinking, have a difference from many of the disorders in other chapters of the DSM. This difference marks a continuing issue in the diagnosis of mental illnesses. Do we diagnose things based on current symptoms, the original cause, or some combination of both? For some conditions, depression, for example, we look primarily at current symptoms regardless of cause. Does it really matter why you are depressed? We may never know what caused your depression. Maybe it even had several causes. The treatment is pretty much the same for most underlying causes of depression. The unique feature of the Trauma- and Stressor-Related Disorders is that they all have an identifiable stressor that caused the symptoms and that the symptoms can vary from person to person. So two people who have depression with the same symptoms, but different causes, get the depression diagnosis. With Trauma- and Stressor-Related Disorders two people with the same stressor and very different symptoms get the same diagnosis. Don’t let this confuse you. 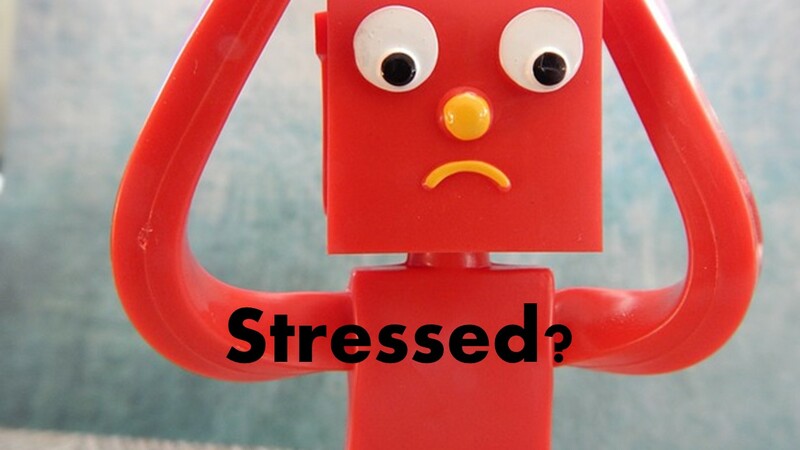 What symptoms might you have that were caused by stress? The big ones are a loss of pleasure or chronic unhappiness; this is like depression only here we know why you have this loss of pleasure. Many people who have experienced severe stress become angry or aggressive, they may get violent. This does not mean anger equals stress or vice versa, just people with a stress disorder may have these symptoms. In severe cases, people may dissociate as a result of stress. There is some similarity here between Trauma- and Stressor-Related Disorders, Anxiety Disorders, OCD and Dissociative Disorders. Specifically with Trauma- and Stressor-Related Disorders we can identify the stressor that caused this disorder. More on exact symptoms and stressors will appear in the posts on specific disorders. What all gets included in Trauma- and Stressor-Related Disorders? Eventually, we will get around to discussing all these issues. Keep in mind that my view on these disorders is that while we may be able to see what stressor or trauma cause your problem, wellness and recovery is possible. Keep working on your recovery and you may be surprised at how your life can get better. As with the other things we are calling a mental illness these Trauma- and Stressor-Related Disorders need to interfere with your ability to work or go to school, your relationships, your enjoyable activities or cause you personal distress. Otherwise, you may have the issues but you will not get the diagnoses if this is a preference, not a problem. If the only time this happens is when under the influence of drugs or medicines or because of some other physical or medical problem, this issue needs to be more than your situation would warrant. These other issue needs treating first, then if you still have symptoms you could get this diagnosis. This entry was posted in Psychology, PTSD & Stress, Trauma- and Stressor-Related Disorders, What is and tagged Acute Stress Disorder (F43.0), Adjustment disorders, Disinhibited Social Engagement Disorder (F94.2), Mental health terminology, Other Specified Trauma- and Stressor-Related Disorder. (F43.8), Posttraumatic Stress Disorder (F43.1), psychology terms, Reactive Attachment Disorder (F94.1), Trauma and Stressor Related Disorders, What is by David Joel Miller. Bookmark the permalink.